Love chocolate? This run is for you! 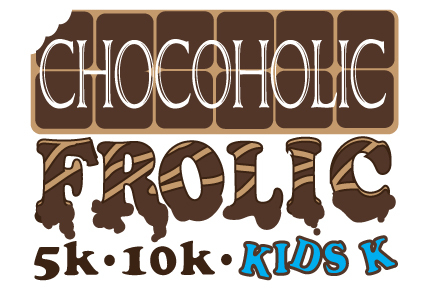 The Chocoholic Frolic 5k/10k are chip timed runs that reward you with chocolate at the finish line. Just want to take your sweet time? Run, jog, or walk your way through these courses and enjoy two chocolate stops along the way. At the finish line you will be greeted with chocolate and treats for dipping. Kids can join in too! Each child receives a race shirt. 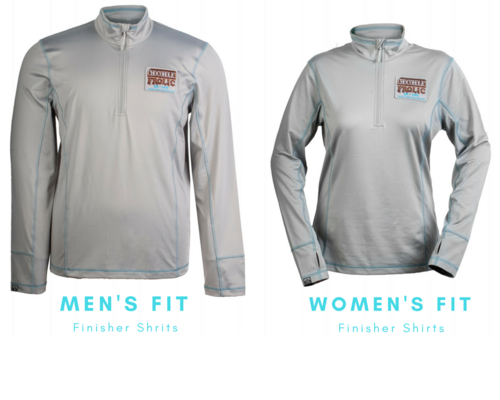 Each participant will receive a technical quarter zip and a Chocoholic Frolic Finisher Bar. Chocolately awards will be given to the top male and female winners in the following age groups : 14 & Under, 15-19, 20-29, 30-39, 40-49, 50-59, 60 & Up. Award ceremonies will immediately follow the race near the finish line. Must be present to win. Race fees are nonrefundable and cannot be transferred to next year's race or another event. Sorry, no exceptions. Check out the course maps beforehand so you know the route, don't rely on volunteers or police to tell you where to go, unless there is an emergency. Be prepared for any type of weather. The race will take place rain or shine. Please check with the main race page for start time and location. Wear race numbers on the FRONT of your shirt, pins will be provided. All athletes must obey instructions from police officers, course marshals, and other emergency personnel. This is an open course on public roads, police patrols will be at major intersections to direct traffic and cones will be used to separate traffic from athletes, please NOT TO ASSUME you have the right of way. No individual support vehicles or assistance by anyone is allowed. Pacesetters are not allowed. Hear-rate monitors, GPS systems, and other informational technology are allowed. First-aid is located at the finish line. If you need transportation to the finish line for a medical or equipment disqualification, notify any course marshal or water stop person and they will contact a race director. Any medical emergency should be directed to "911". Any race volunteer can assist in making this contact. Water or other hydration drinks will be provided no more than 3 miles apart. All race participants are expected to be at the start line 10-15 minutes early for any last minute updates and directions. Race will begin with READY - SET - GO (accompanied by siren); this notes the start of the event. The finish line is located directly under the finish line archway. Each mile is marked with a marker. All turns off the existing roadway are noted by at least one of the following: course marshal, turn arrow on a traffic cone, road surface paint, or law enforcement. Medical personnel have ultimate and final authority to remove a participant from the race, if, in their judgment, the participant is physically incapable of continuing the race without sustaining physical damage or loss of life. Participants are allowed to wear headphones or any other sound-producing device during the race as long as the sound is off for the start, for law enforcement, course marshals, and finish line.